Heathcote & Ivory is a well-known bath and home specialist that creates beautiful products with terrific ingredients. They are quite known for their pretty on pack promos. The brand’s collections are stocked in renowned department stores globally. In Sakura Silks Immaculate collection, the brand offers a pretty-looking nail file. Anyone can get it for free as part of their on pack promos. What Separates Heathcote & Ivory’s On Pack Promos from the rest of the brands? The on pack gift packaging is made intricately. It comes in unique and attractive designs; thereby, convincing customers to check out their products. 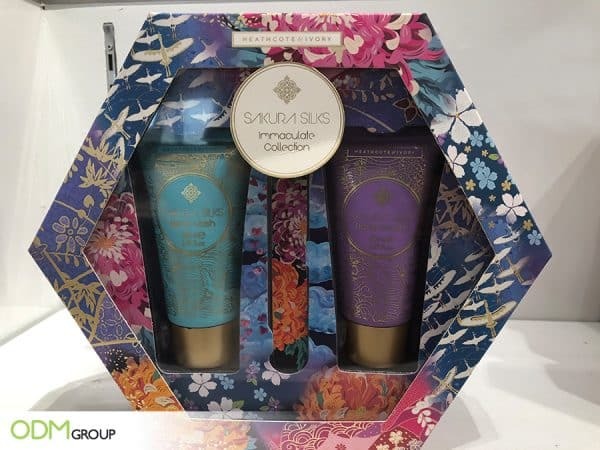 As seen on their Sakura Silks Immaculate Collection, they offer a nail file as their promo gift. Most of their marketing giveaways are related to the product itself which makes the promotion even better. The design on the bottles and the free nail file blend effortlessly with the packaging. It just shows that the brand creatively planned the whole ensemble. How do we improve this On Pack Promo? Though this campaign from Heathcote & Ivory looks perfect, there are still a few points that we may improve on. Use a good POS Display – We highly recommend utilising a good POS display for this on pack promo. Custom POS displays exclusively designed for the promotional run can easily catch the customers’ attention. This could attract customers to check out the products. Engage with Customers – In relation to the POS Displays, it would be best if the brand provides a sampler bottle. Customers will have the chance to test out the product before their much-awaited purchase. Play with a variety of designs – Yes, the nail file looks really trendy and chic. But, it wouldn’t hurt to provide more designs for the customers. This will encourage the customers to purchase more to complete the collection. Print a Clear Logo – Since our main goal is to promote brand awareness, the nail file should bear a conspicuous logo of the brand. This branded giveaway helps in brand retention and awareness. Given that the marketing industry is saturated with high-quality beauty products, it is necessary to execute a marketing campaign right from the get-go. Here at ODM, we are proud to say that we are experts in design and marketing. So, if you’re interested to create your own on pack promo but doesn’t know where to start, feel free to inquire anytime. We’ll gladly help you with your queries. If you would like to see more on pack promos, check out the links below. 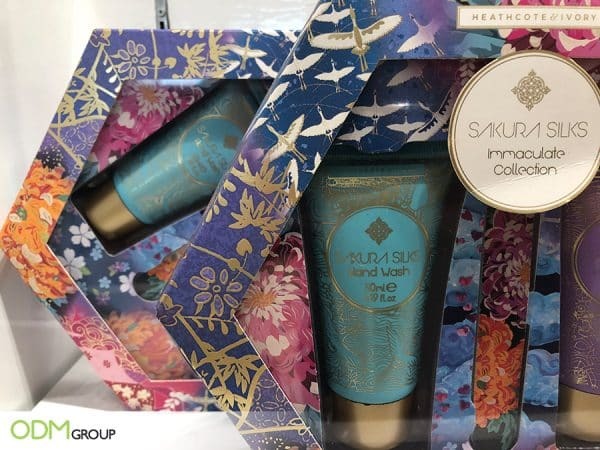 This promotional pack comes in a set of two products from a Japanese cosmetics brand. In each purchase of the set, customers will get a drawstring bag for free. Bath items as an on pack gift from Dove. This is a great summer promotion from Esprit because everyone needs to have compact and handy travel pouch to fit in all needed toiletries.